To help her neighbors who wanted to know more about what accessory dwellings could do for them, Joanne Sullivan, a founding member of the Ashby Village, organized a workshop. The event drew over 100 members of the Ashby Village, all interested in finding a way to remodel or add on to their homes to create affordable apartments or cottages that they can share with family, friends, or tenants. One member is looking to downsize to a backyard cottage so her children can afford to move back to Berkeley from out of state. There’s no way her children can afford to live here without pooling their resources with their parents. Another member of the audience works for the UC Berkeley retirement association, a group that organizes 10,000+ UC retirees. This Ashby Village member realizes there are many different ways that accessory dwellings can help retirees by providing additional income and ways to live independently. This is what a grassroots movement looks like. We suspect this is also what the future of housing looks like. These are the people who will define the future. 1. 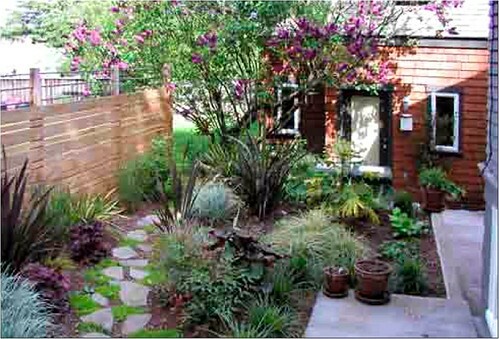 How does an accessory dwelling or ADU affect your property taxes? Answer: Usually, your property taxes are just over 1% of the value of the addition. Most projects have an assessment value that is about half of what you spend. This is due to the significant amount of work that qualifies as repair, maintenance or finishes and furnishings. So a $100,000 project may have a $500 property tax increase and a $300,000 project may have a $1,500 property tax increase. 2. How fast can you build a detached accessory dwelling? Answer: First, you want to think about design and permitting, which usually takes a year. Although that’s the reality, many people convince themselves their project will go faster, and that’s a mistake. Construction takes six or seven months. We have built homes much faster, in as little as five weeks, but most of the time you will spend six to seven months. 3. Is the cost of an accessory dwelling less than the cost of raising the house? Answer: They usually cost about the same. We recently finished an attached two-story addition that was the same size and cost as a detached accessory dwelling, and they were almost the same price (just over $300,000). However, either one can be more or less expensive. We can determine this during a site visit. 4. What is the average cost of building a house in Berkeley? Answer: Most people spend $350 per square foot if they are building something 1,000 square feet or larger. Most people spend over $500 per square foot if they are building less than 500 square feet. We can help you manage your costs. 5. Who are you guys, and what is this all about? The Berkeley Community Housing Task Force consists of over a dozen local business leaders who have an interest in helping with the housing crisis, aging in place, first time home buyers, affordable rents and socially connected and sustainable communities. 6. I have a two-bedroom house. Is it better to raise the house or add an accessory dwelling? What is the cost? Am I allowed to have ADU? Answer: In general, a detached accessory dwelling is the best option. It’s more private, more flexible, you can collect better rents, and you feel like you have your own home when living there. Yes, you are most likely allowed to have an accessory dwelling. The State of California gave you the right to build one! We were so inspired to see so many home owners exploring the possibilities. ADUs can provide rental income, a place for loved ones to live, additional office space, and so much more. Special thanks to Joanne Sullivan and the Ashby Village members for this informative event. Have any questions? We are available to discuss your goals & ideas. There’s no fee or commitment. To request a time for a call, just click here and tell us when to call you.